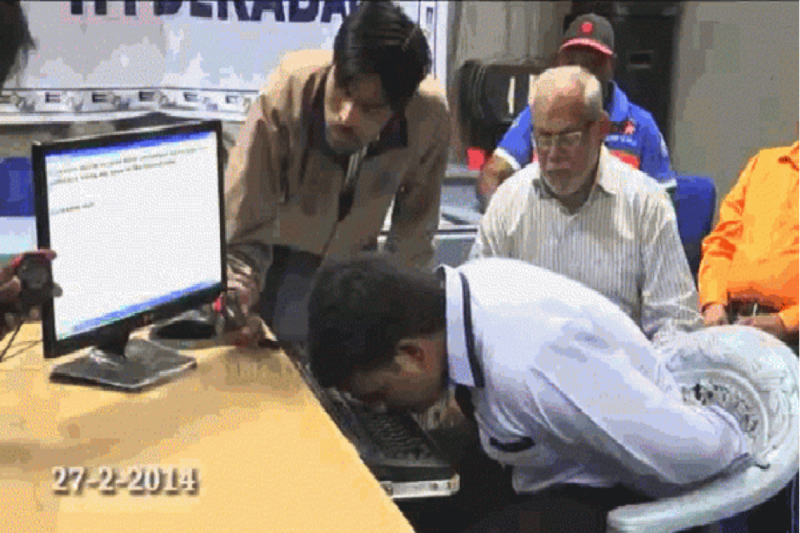 Khiurshid Hussain, 23, can hold his head up high as the world’s fastest nose typist. He typed the sentence “Guinness World Records have challenged me to type this sentence using my nose in the fastest time.” In the process, he demolished the Guinness World Record for fastest time to type using the nose by more than 45 seconds. 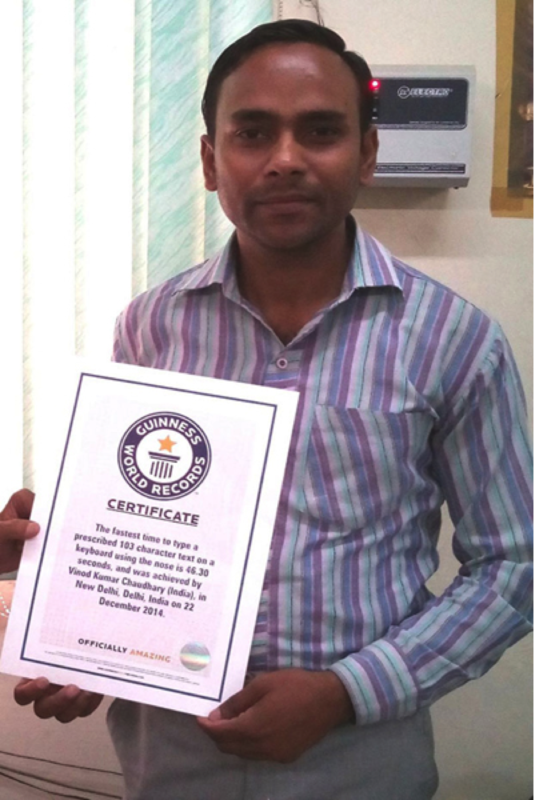 However, the previous record of 1 minute and 33 seconds was set in November,2008, by Neeta, a citizen of India. Sources tell that Hussain’s attempt still needs to be certified by Guinness adjudicators, which could take four months. In the meantime, he may attempt to break the nose typing record once again. In February 2012, he managed to type all 26 English alphabets in just 3.43 seconds, even though it was set with the help of fingers. Seems like this man will continue to break his own record!